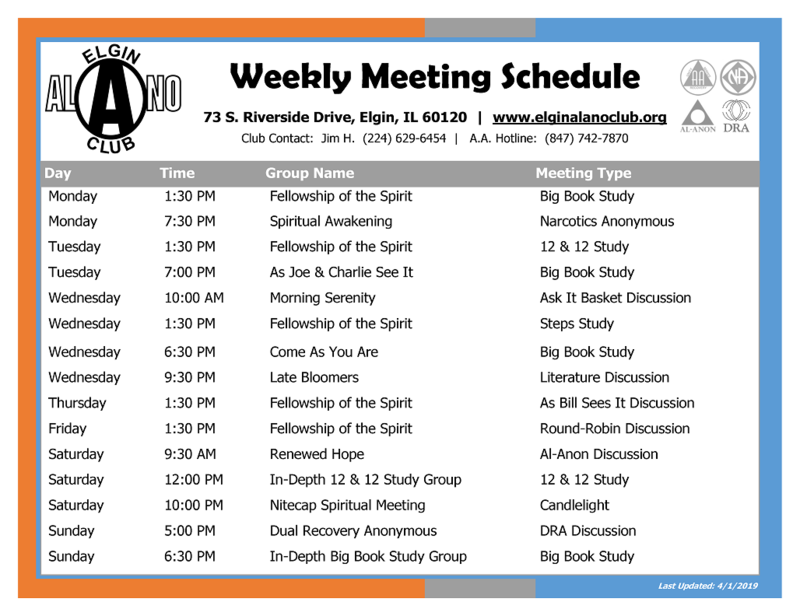 Looking for additional AA meetings in the greater Elgin area? Visit the AA District 22 Meeting Schedule by Day. Evening time slots and space available for YOUR 12-Step Meeting at EAC! If you have an idea for a 12-step fellowship meeting that may be a good fit for Thursday or Friday evenings, please email ElginAlanoClub@gmail.com – thanks!